Toronto, ON – The Ontario Hockey League, in collaboration with the Canadian Hockey League and Hockey Canada, today announced the Team OHL rosters for the 2018 CIBC Canada Russia Series. Storm players Ryan Merkley, Isaac Ratcliffe, Nate Schnarr and Cam Hillis will take part in the tournament. 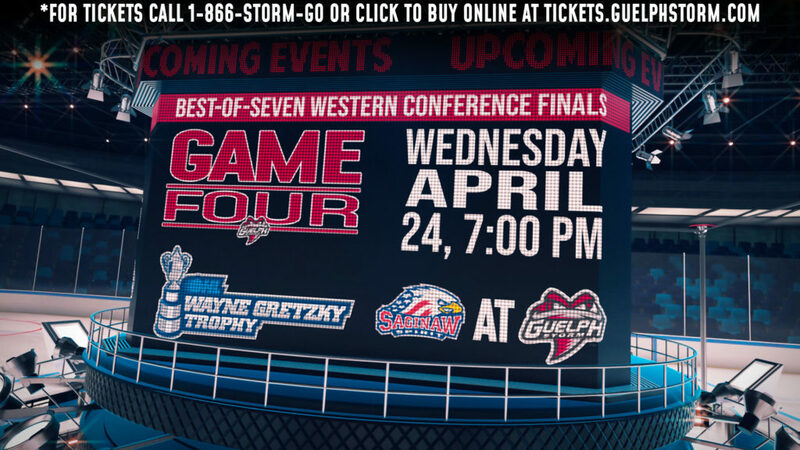 Merkley will play in both games, while Ratcliffe and Hillis will play in Sarnia only and Schnarr just in Oshawa. Team OHL will compete against the Russian National Junior Team in Game 3 of the six-game cross Canada series in Sarnia on Thursday November 8 and in Game 4 in Oshawa on Monday November 12. 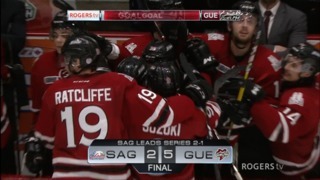 The series will begin with two games in the Western Hockey League and will wrap up with two games played in the Quebec Major Junior Hockey League. A total of 31 players have been selected to represent the OHL in the 2018 CIBC Canada Russia Series including nine players who will compete in both Ontario games. The rosters feature 24 players who have been selected in the NHL Draft including first round picks Barrett Hayton (Arizona Coyotes, 5th in 2018) and Morgan Frost (Philadelphia Flyers, 27th in 2017) of the Sault Ste. Marie Greyhounds, Owen Tippett (Florida Panthers, 10th in 2017) of the Mississauga Steelheads, Ty Dellandrea (Dallas Stars, 13th in 2018) of the Flint Firebirds, Nick Suzuki (Vegas Golden Knights, 13th in 2017) of the Owen Sound Attack, Liam Foudy (Columbus Blue Jackets, 18th in 2018) of the London Knights, and Ryan Merkley (San Jose Sharks, 21st in 2018) of the Guelph Storm. 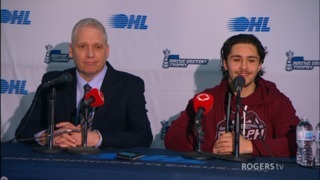 Three players who are first time eligible for the NHL Draft in 2019 have also been named to the roster including forward Ryan Suzuki of the Barrie Colts, defenceman Thomas Harley of the Mississauga Steelheads, and goaltender Hunter Jones of the Peterborough Petes. Sting captain and Toronto Maple Leafs prospect Ryan McGregor will have the opportunity to compete before the hometown crowd in Sarnia on November 8, while a trio of Oshawa Generals including captain Jack Studnicka (Boston Bruins), Serron Noel (Florida Panthers), and defenceman Giovanni Vallati (Winnipeg Jets) will represent the hosts on November 12. 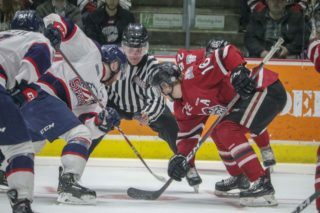 The Team OHL rosters were assembled by a Selection Committee that includes Owen Sound Attack General Manager Dale DeGray and Ottawa 67’s General Manager James Boyd in consultation with Hockey Canada Head Scout Brad McEwen and Hockey Canada Program of Excellence National Junior Team Manager Steve Staios of the Hamilton Bulldogs. 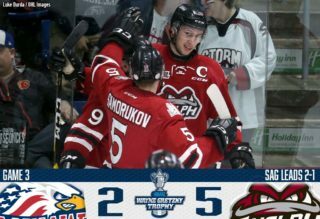 In 15 years of competition against the Russian National Junior Team, the OHL has a record of 24-5-1 in this series following a 5-2 loss in Owen Sound and a 4-2 victory in Sudbury last season.